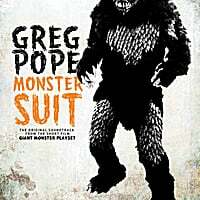 Greg Pope-Monster Suit (Original Soundtrack). The pope of power pop (or should we just call him the "power pope"?) is back with another collection of top-drawer tracks, but this time with a twist. Not only has he taken the world of independent power pop by storm, but now his creative energies have been turned towards independent film as he's on the verge of releasing "Giant Monster Playset", a short film he wrote and directed. Monster Suit is the soundtrack to the short film, but it's not a collection of incidental music with a few songs scattered among it. Instead, it's a full-length disc that stands on its own and fits right in with his previous releases. There's a lot to like here, from the heavy, cascading guitar rock of "Modern Plaything" to the melodic pop of "Soulless Heart" to the anthemic "Hero". The acoustically-strummed "The Chance You Don't Take" harkens back to Pope's Edmund's Crown days, and "Place on the Hill" sounds like a lost classic rock gem. Pope's been on quite the creative run the last few years, and we're all enjoying the ride. 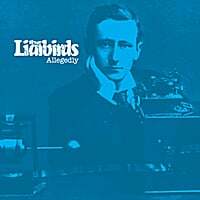 The Liarbirds-Allegedly. This Greek band caught my attention in 2008 with their debut EP Second Quartet, and three years later they've emerged with an impressive full-length followup. They have an easy, melodic sound that brings Teenage Fanclub, The Byrds and Cosmic Rough Riders to mind, and opener "Chewing Gum" is an impressive statement to this end, as it merges laid-back verses with an intense power pop chorus. "Running Mind" is another breezy wonder, and "Fortune Tells May Tell You" will have you thinking you're listening to Daniel Wylie's latest. "Soul Keeper" has a retro-60s vibe, while "Disarray" finds them in good form on a slower number. An impressive record, and it's nice to see good news out of Greece for a change these days.